RHEA is a high temperature data transmission solution with galvanic isolation of 2.5kV and operating reliably from -55°C to +225°C. The RHEA Evaluation Kit includes an Evaluation Board, the complete electrical schematic, the Gerber files, the bill of materials and an Application Note. 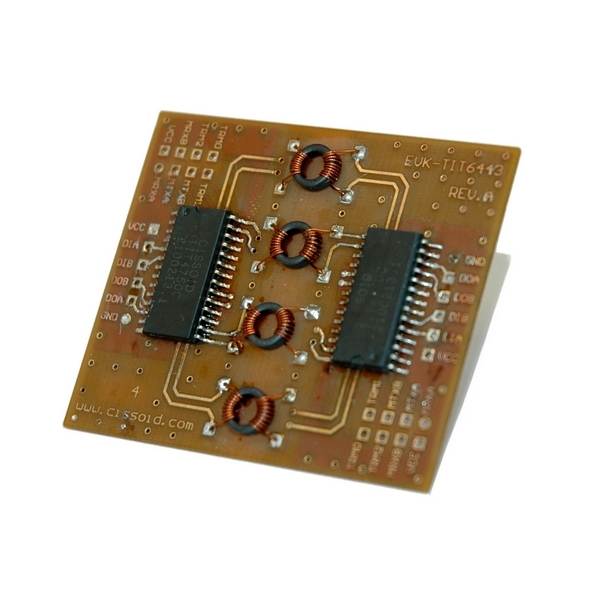 The Evaluation Board is built from a 200°C polyimide PCB, and it is populated with two instances of CHT-RHEA integrated circuits in ceramic packages guaranteed for -55°C up to +225C. The board allows short excursions to +200°C~225°C for testing. Immunity to dV/dt : 50kV/µs.